PX-SM-6/10M3-Shenzhen Puxin Technology Co. Ltd. The main body of the digester is build with concrete. 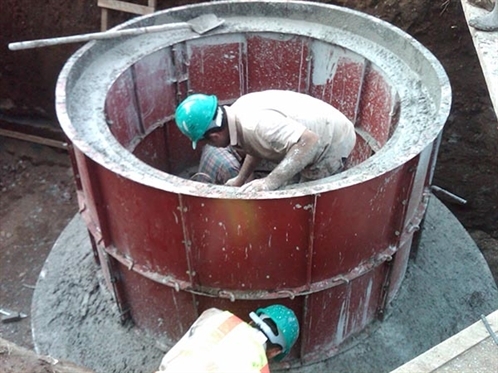 PX-HBS-6/10M3 digester is composed of a concrete tank built with a set of steel mould provided by us. 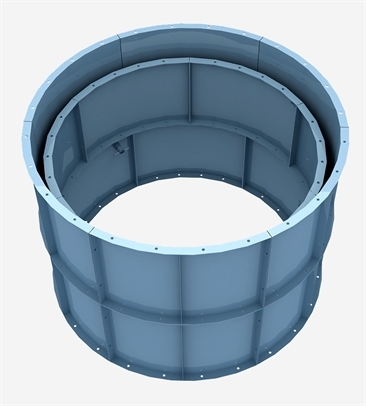 Each set of steel mould can reuse hundreds of times. so the technical difficulty is greatly decreased, and the construction period is greatly shortened. how to assemble and disassemble the steel mould. Any workman can learn to build PX-SM-6/10M3 within a day and with 100% success rate. What Are The Application For The Digester ? PX-SM-6/10M3 digester is mainly applied to farmhouse or domestic house to treat livestock waste, straw,human sewage and food waste to get biogas for cooking, lighting and electricity. train the technicians for them, and our customers build the plant themselvs. Brief Introduction Of The Technology. Highly required. Difficult to judge gas or water leaking; difficult to find the leak; need to take out all the fermentation material to enter into the biogas digester to paint and seal again. 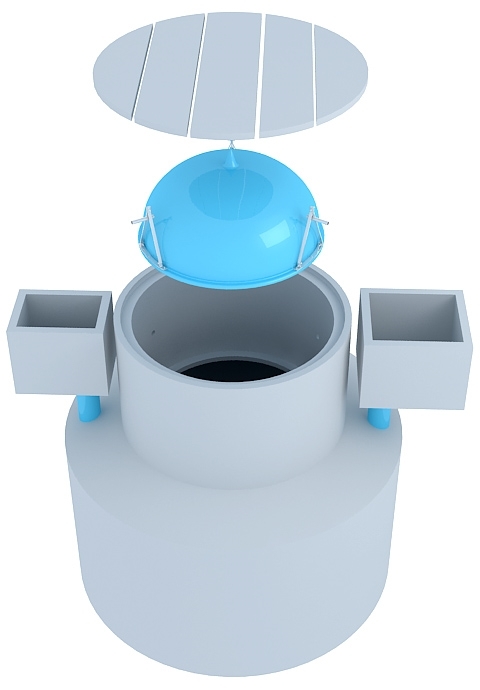 3) Convenient to replace solid fermentation material: suitable for straw and other solid organic material: The gasholder is only 30 kg in weight, and can eliminate the atmospheric pressure. So it is effortless to take out the gasholder from the digester, and easy to replace solid material through the digester neck (1.5m in diameter). 4) Easy to maintain and a long service life: When the gasholder is leaking, the leak can be found immediately, and can be repaired on ground. The concrete digester can last over 30 years ， and the glass fibre reinforced plastic gasholder over 10 years. When the gasholder is worn out, a new one is replaceable, so that the biogas plant can last over 30 years. 5) Excellent airtight function and the high rate of biogas production: The glass fibre reinforced plastic gasholder sealed up by water is 100% airtight. 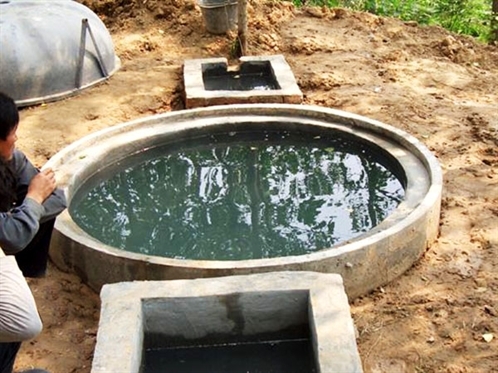 Since replacing the fermentation material is easy, the digester can sustain sufficient fermentation material, so can the biogas plant have a high rate of biogas production. 6) Excellent safety and easy operation: When the gasholder is taken out, no biogas is left in the digester. 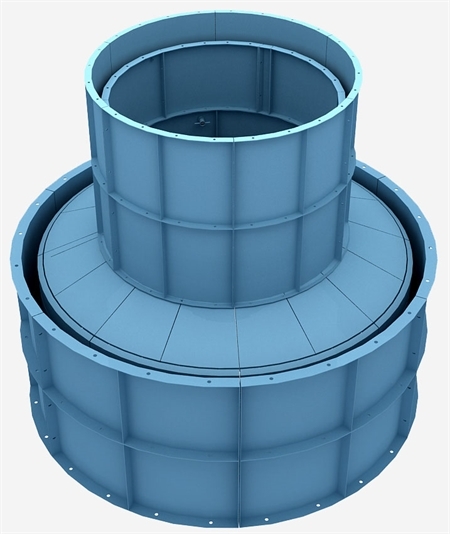 The digester neck (1.5m in diam) is large enough to keep sufficient fresh air in the digester. So it is safe both to repair the digester inside and to replace fermentation material . When the gas pressure reaches its limit, there will be automatic gas leak, hence no damage to the plant.